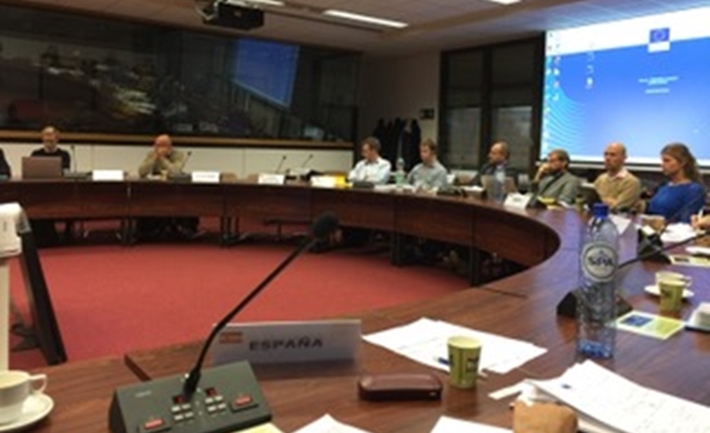 MedAID presented his work on Social Acceptability at the Aquaculture Technical Seminar of the Open Method Coordination for Aquaculture, Brussels, 27 November 2018. The Aquaculture Technical Seminar is part of the European Commission Open Method Coordination for Aquaculture. Within this framework, DG MARE coordinates the exchange of good practices between Member States by organizing twice a year a workshop at technical level, attended by experts from Member States administrations (see https://ec.europa.eu/fisheries/cfp/aquaculture/good-practises_en). Almost all Member States are represented by around two experts per Member State, since aquaculture usually falls within the remit of several Administrations/Ministries. This second edition of the Aquaculture Technical Seminar (2018) has discussed various topics. One of them being Social Acceptability, on which MedAID is working in its Work Package 7 on “Social acceptability and governance of aquaculture development in the Mediterranean”. WP7 Leader, Dr. José Pérez from Ifremer, presented the objectives of this WP and the results collected so far. The presentation was followed by a round table discussion addressing some additional issues about good practices to enhance social acceptability of aquaculture at national level. As un example, aquaculture in Finland is contested and the Administration has opened a dialogue process with stakeholders to discuss aquaculture sustainability. In Italy big efforts have been made to improve the perception of aquaculture products through communication campaigns. Delegations from the Ministries of European Member States attended this Technical Seminar on Aquaculture. In total, about fourty people attended this meeting.